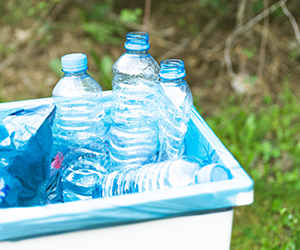 Garbage is collected every week by Waste Management on behalf of the Township. Residents of the former Holland Township (East of Highway 6) will receive pick up on every other Tuesday.  Collection for former Sullivan Township and Village of Chatsworth (West of Highway 6) will receive pick up on the alternate Tuesdays. Residential may set out as many bags as they desire, however only one bag may be untagged. All additional bags must be tagged. Commercial and industrial users will be entitled to three untagged bags bi-weekly. All additional bags must be tagged. Garbage tags may be purchased at the office or at various bag tag locations throughout the Township. Currently Variety Plus Convenience Store, 6 & 10 Convenience and the Esso Gas Station in Chatsworth, and the Williamsford General Store and Holland Centre Gas Bar have bag tags for sale. Cost for a bag tag is $2.50 per tag per bag. 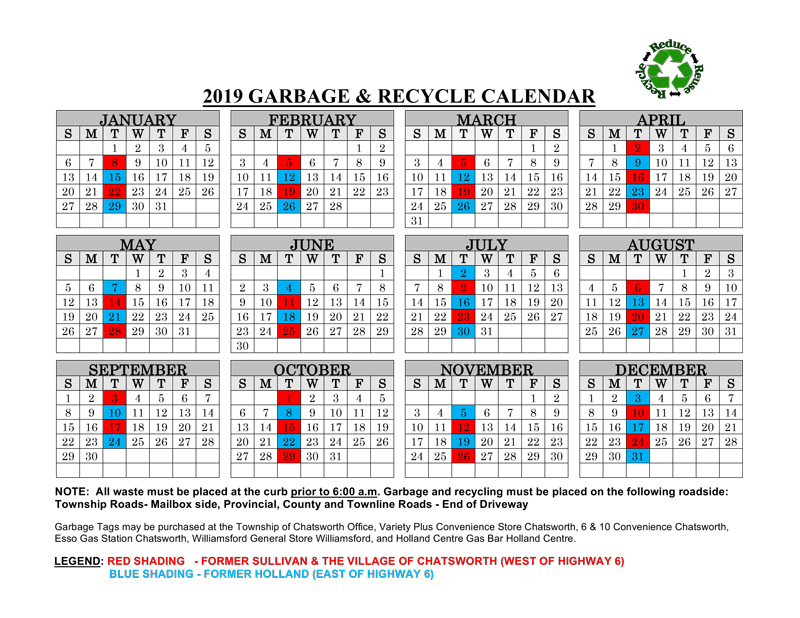 The Township does not guarantee time of pick up by our contractors and therefore, garbage bags must be at the curb on the day of pick-up by 6:00 a.m. in a clearly visible area. 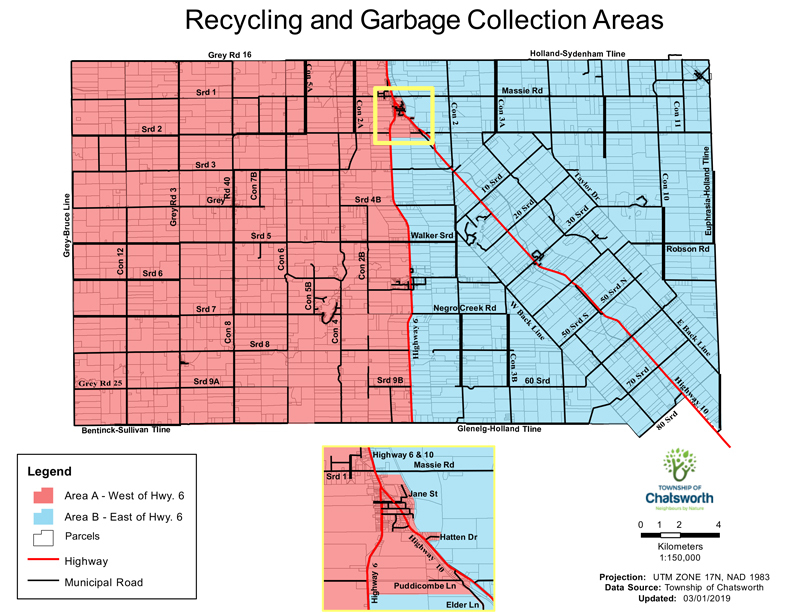 Garbage and recycling must be placed on the following roadside: Township Roads – Mailbox side. Provincial, County and Townline Roads – End of driveway. If a pickup is missed, the contractor will not return to a property for any reason. Maximum bag size is 26″x36″ and not exceeding 22 kilograms per bag. Garbage boxes or bins must have a visible marker to indicate “full” or “empty”. Hours of Operation Monday, Tuesday, Friday and Saturday 9:00 a.m. to 4:00 p.m. Hours of Operation Saturday 9:00 am to 4:30 pm and Monday 10:00 a.m. to 4:30 p.m.